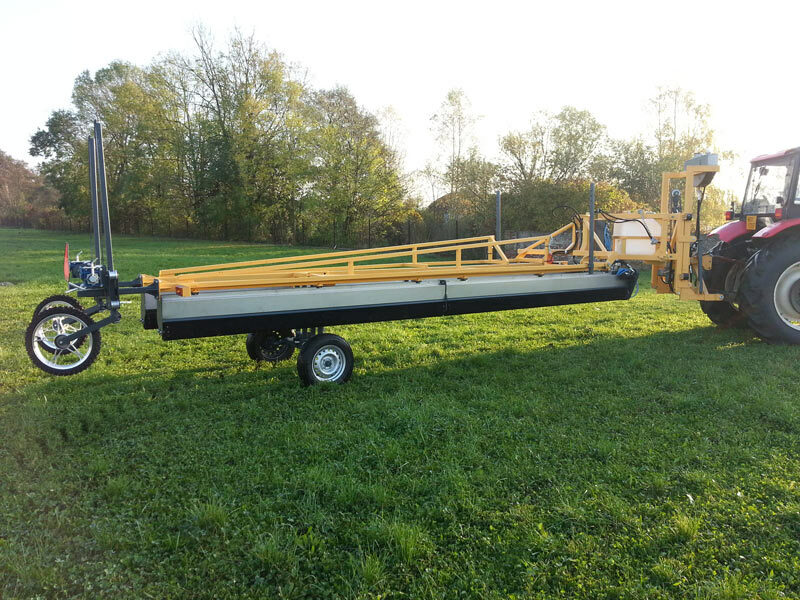 Contact herbicide applicator - NATURA DK, a.s.
KAH – 04 is a rotating contact herbicide applicator. 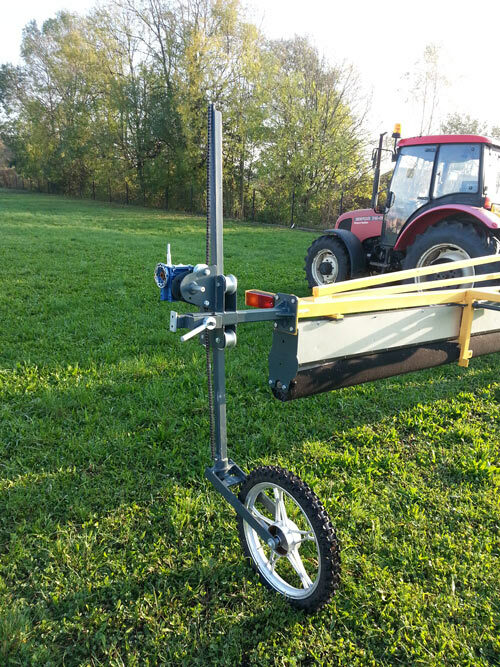 Good for elimination of bolts, weed beets and tall and overgrowing weeds in other crops. Reasonable cost and cheap operation. 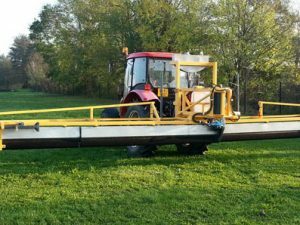 Can be used to eliminate tall weeds in various cultures such as sugarbeet, vegetable crops, grasses, etc. After weed elimination your crop receives maximum humidity and sunlight leading to higher production yield. 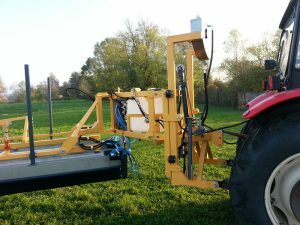 Remote-controlled for easy operation and nozzle control. Quick mat replacement if required. 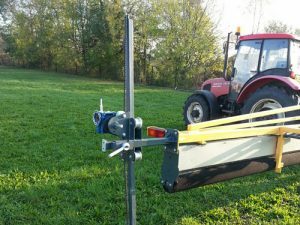 Easy maintenance – set the working drums above the culture and all taller weeds will be wiped. The machine can work in variable heights and can kill a wide range of weeds. 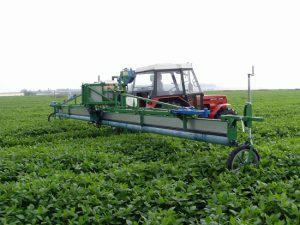 Saves money – the agent is applied only to the part of the drum that gets in contact with the weeds. Environment-friendly – the agent does not splash around – solid polycarbonate nozzle covering. Relatively low concentration is enough to kill weeds – weed-free crop means higher yield. All the used parts and components are standard serial products and therefore easily available on the Czech market. The machine meets all the required standards and licences for operation within the EU. Full service during and after warranty period.